The Cabinet Committee on Economic Affairs (CCEA) chaired by Prime Minister Narendra Modi on 18th December 2018, has approved the establishment of Eklavya Model Residential Schools (EMRSs) in every block with more than 50 percent ST population and at least 20,000 tribal persons. Initially, the CCEA has approved financial assistance worth Rs. 2242.03 crore during 2018-19 and 2019-20 for rolling out the revamped scheme. The CCEA has further approved the setting up of an autonomous society under the Ministry of Tribal Affairs similar to Navodaya Vidyalaya Samiti to run the EMRSs. It has also approved upgradation of the already sanctioned EMRSs on a need basis with unit cost subject to a maximum of Rs 5 crore per school. 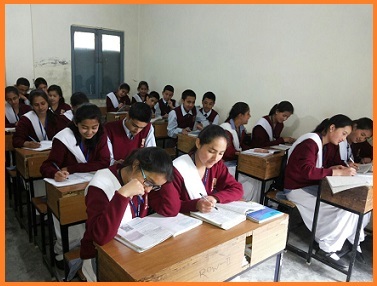 TheEklavya Model Residential Schools (EMRSs) are an excellent approach to cater to the educational needs of ST children. Apart from school building including hostels and staff quarters, provision for a playground, students' computer lab, teacher resource room are also included in the EMRSs. Eklavya schools are proposed to be established for scheduled caste (SC) and schedule tribe students by 2022 on the lines of Navodaya schools. They will be model residential schools set up in each Block. It will in areas with more than 50% tribal areas and 20,000 tribal people. Eklavya schools will be part of Navodaya Vidyalayas. It will provide training in sports and skill development. It has special facilities for preserving local art and culture.